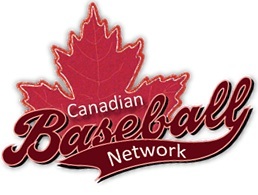 The penultimate award I get to vote on for the Baseball Blogger's Alliance year end awards is the American League Goose Gossage award for top reliever. Once again, a lot of good closers with some eye-popping numbers. Baltimore's Jim Johnson led the majors in saves with 51. Rafael Soriano got 42 saves after Rivera went on the DL. Tampa's Fernando Rodney had an ERA of 0.60(!). There was a time when we thought the closers with the most saves were the best relievers. This was in the dark ages of baseball statistical enlightenment. Or as it was called at the time, the 1980s (or 1990s). But I like to look a little deeper. And I am well aware that a set up man, (or even better a "Bill Jamesian relief ace") can be much more valuable than a closer. Anyone can get 3 outs before giving up 3 runs. It takes a special skill to pitch out of a bases loaded jam in the 7th inning of a tie game, with Josh Hamilton, Adrian Beltre and Nelson Cruz due up. All the closers named above had very good seasons. But Jim Johnson had a FIP of 3.23. Not bad, but over 20 qualified relievers had better - including some from his own team. A similar argument can be made against Soriano. I have no doubt that David Robertson had the best season of any Yankee reliever. 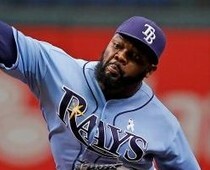 Tampa's Fernando Rodney? Well, he wouldn't have had the opportunity to get 48 saves if his set up men didn't hold leads for him to save. Other than that, his ERA is a good reflection of the great season he had (his FIP was 2nd in the league at 2.13) He also led all relievers with a 2.4 WAR. Those setup men that held all the leads for him to save? That would have been Jake McGee who led the AL with a FIP of 1.81 and was 3rd in WAR at 2.0, and Joel Peralta who led the league with 37 holds. Ignoring saves and continuing to look for good relieves, I see KCs Greg Holland had a WAR of 2.2 while only getting 16 saves and a FIP of 2.29. I'm done digging through numbers.